Max is a Schutz 1 AND loaded with pedigree. His Grandparents are 2X VA 1 Remo Von Fitchtenschlag and 2X VA 1 Gina Vom Aquuamarin. We are pleased to announce MAX von den Warsteiner Quellen is now standing at stud at Roche’s German Shepherds and is available upon request. 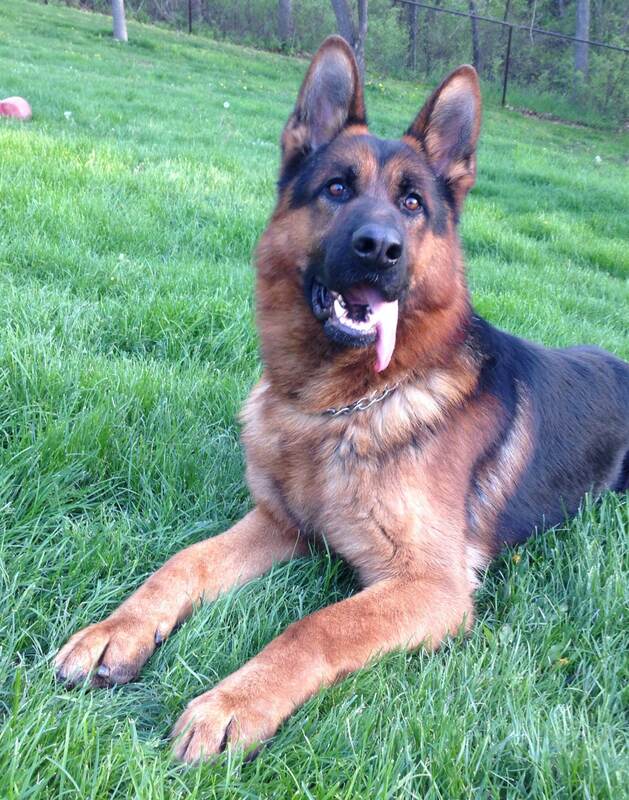 Max is IPO 1 and is the Grandson of VA 1 Remo vom Fichtenschlag and the VA 1 Gina vom Aquamarin. 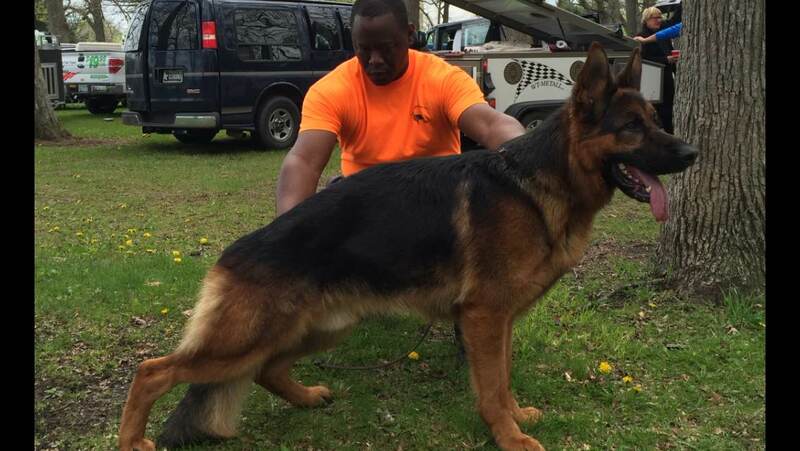 Click here for more pedigree information or feel free to contact us here at Roche’s Pedigree German Shepherds and we will be happy to discuss his pedigree in more detail. Max has been in the Wisconsin and Northern Illinois area now for thirteen months and has produced phenomenal structure, color, and temperament with his offspring. Max brings tremendous drive to the line as well as a stable mind. With his stellar pedigree and phenomenal disposition, Max presents an incredible opportunity to produce top of the line litters with fabulous disposition, impeccable bloodlines, and gorgeous appearance. We take excellent care of our animals here at Roche’s Pedigree German Shepherds, and our stud dogs like Max are no exception. Max is routinely checked for sperm quality with regularly excellent results. His last check landed at 96% motility, and we expect to see similar outcomes in the future. 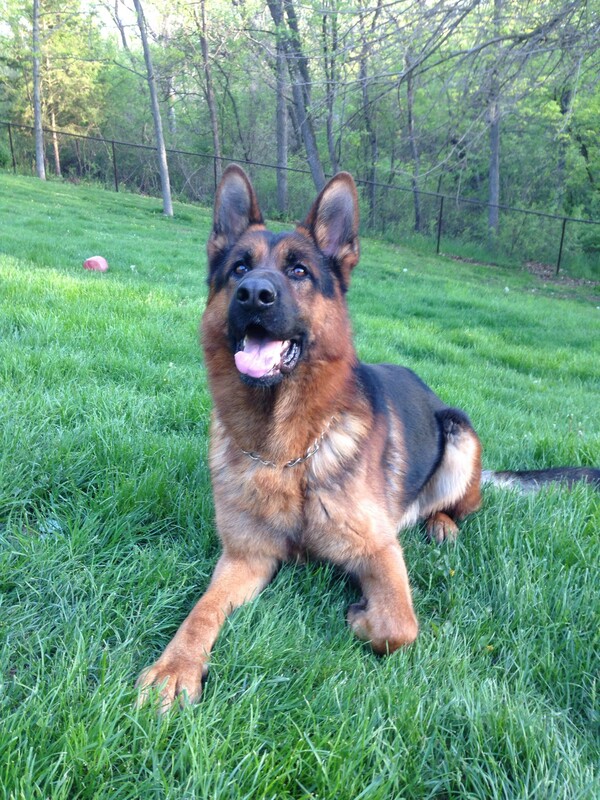 If you’re looking for a German Shepherd stud dog with the highest to offer in both quality and performance, look no further than Max von den Warsteiner Quellen. Please contact us to discuss the availability of Max and to review pedigrees today!